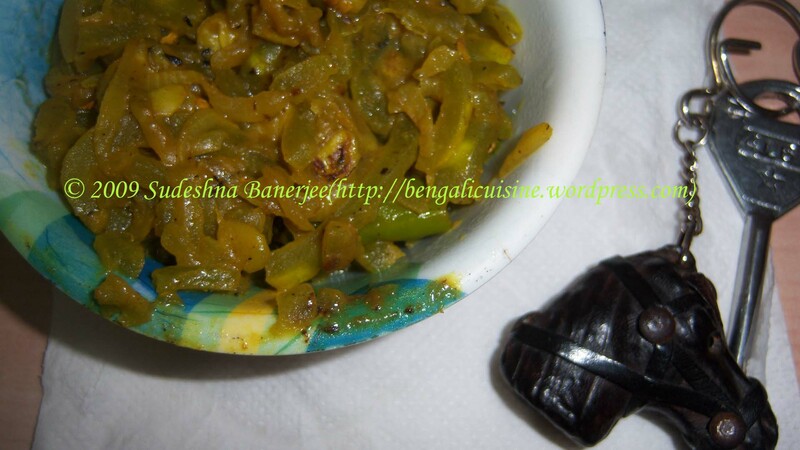 It seems as if without a bowl of chatni Bengali platter is never complete. 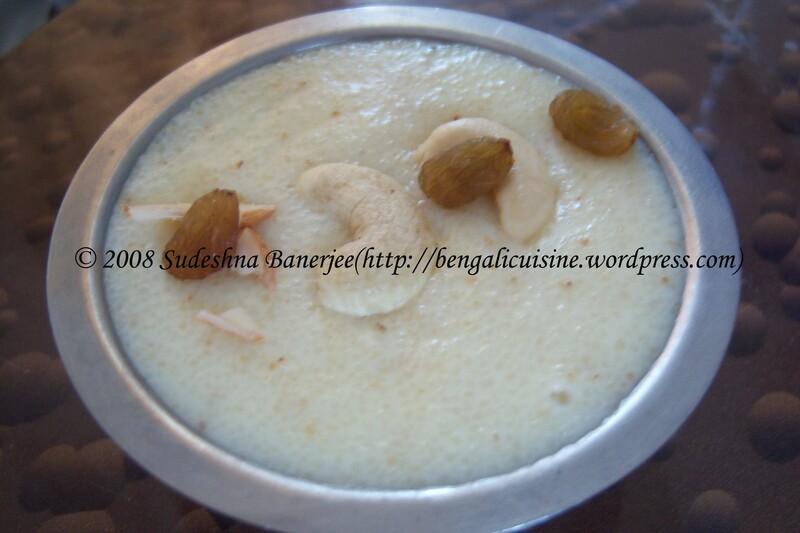 The little bowl of chatni at the end of any meal brings a fulfillment to the meal. Chatni, for those who are not so aware of this word, is a sweet serving prepared of tomato, ripe mango, pineapple, or for that matter any sour fruits and even dry fruits. 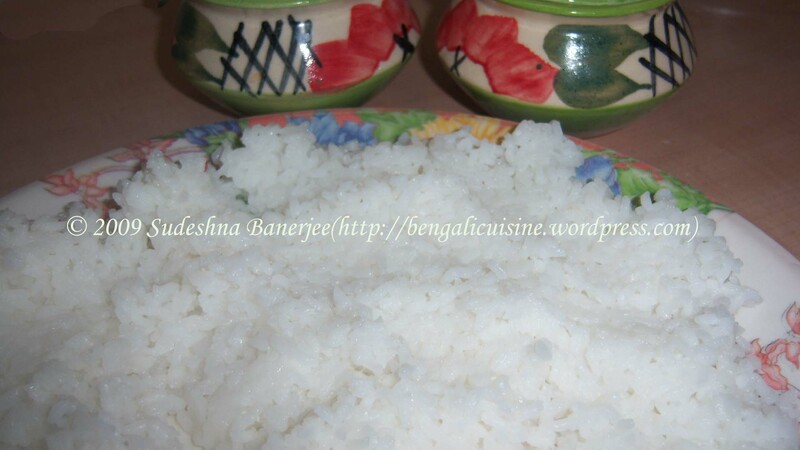 Chatni is prepared in various styles in all Bengali households. The preparation also depends on the season; tomato for winter, ripe mango for the summers, or any seasonal fruits during its time. 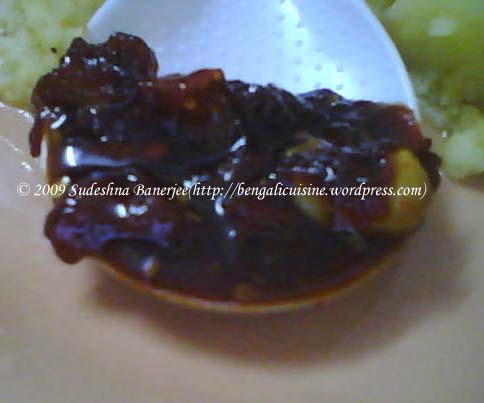 The main ingredient though a fruit it is often accompanied with sugar or jaggery for enhancing the sweetness of the dish. The last time when I went home, mom gave me a whole jar of jaggery. I had completely forgotten about it, last night I was cleaning up the kitchen when I found this jar, and the first thing that came to mind was having it with milk and rice. I was thinking of what else to do with that, when I saw the tomatoes. The answer to my question was instantaneous; chatni is the best option. I prepared it this way; you can prepare it in any way possible. I will try to post some other types of chatni on my following posts. 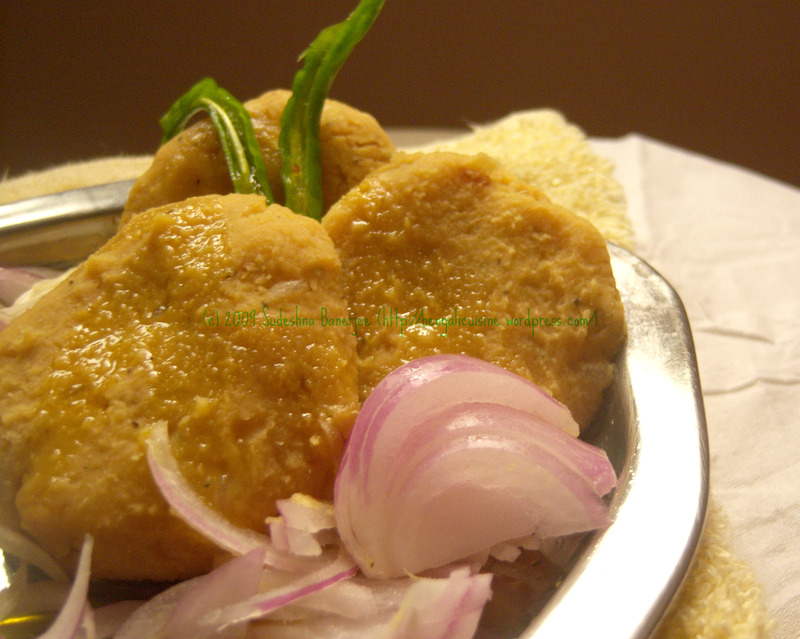 The combination of jaggery and dry chili helps in increasing its shelf life to almost two days without refrigeration. For this chatni the only spice used is panch phoron. 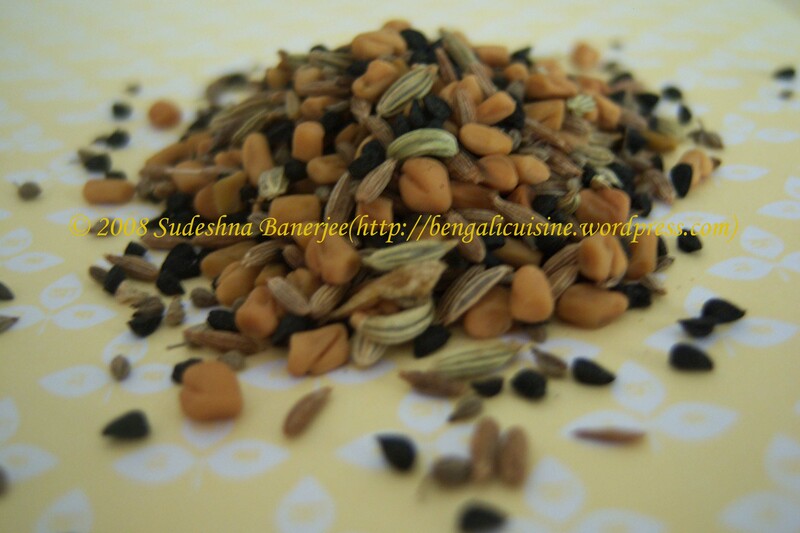 Panch phoron, as the name suggests is a combination of five different spices; “panch”, meaning five and “phoron” is spice. 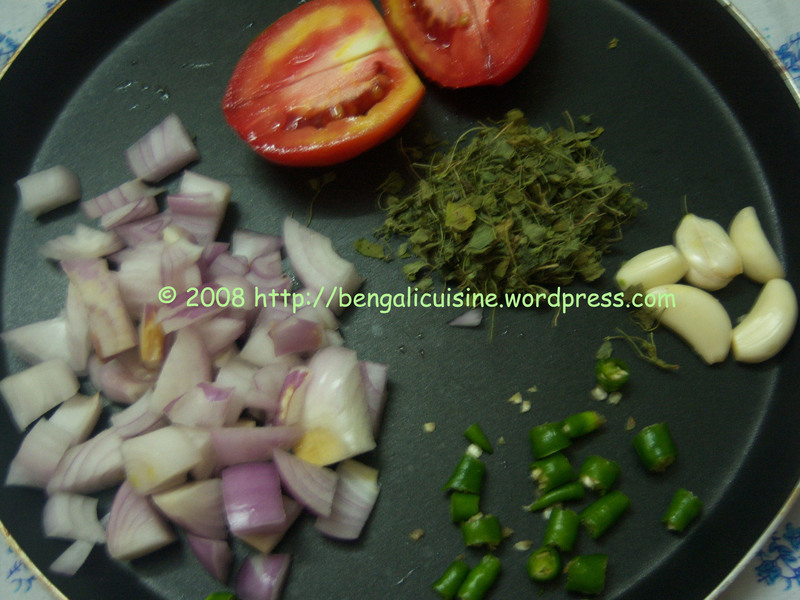 Nigella, cumin, fenugreek, fennel, and mustard mixed in same proportions are used for preparing panch phoron. 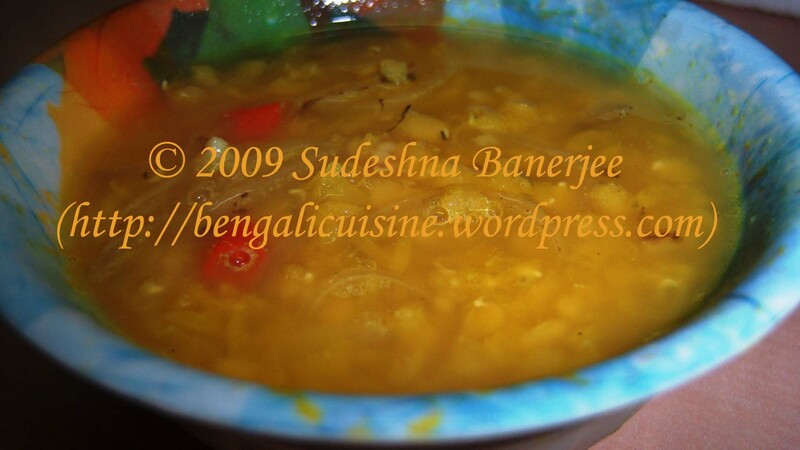 This combination of spices is an earmark of Bengali cuisine. 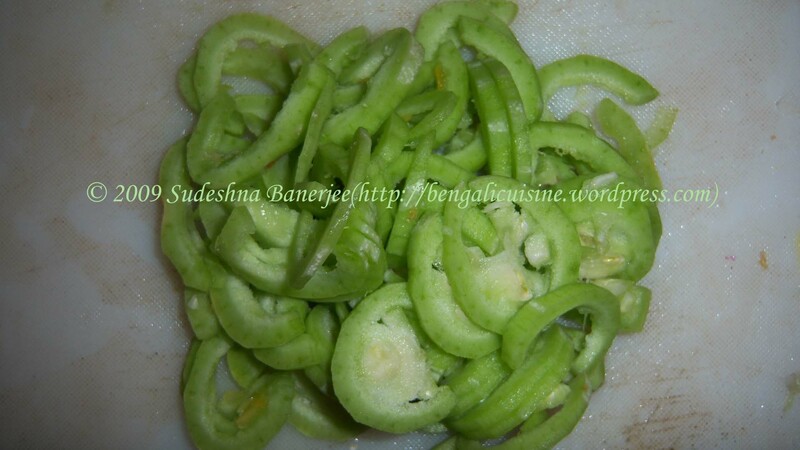 It is used in preparations like Khichudi and vegetarian dishes . 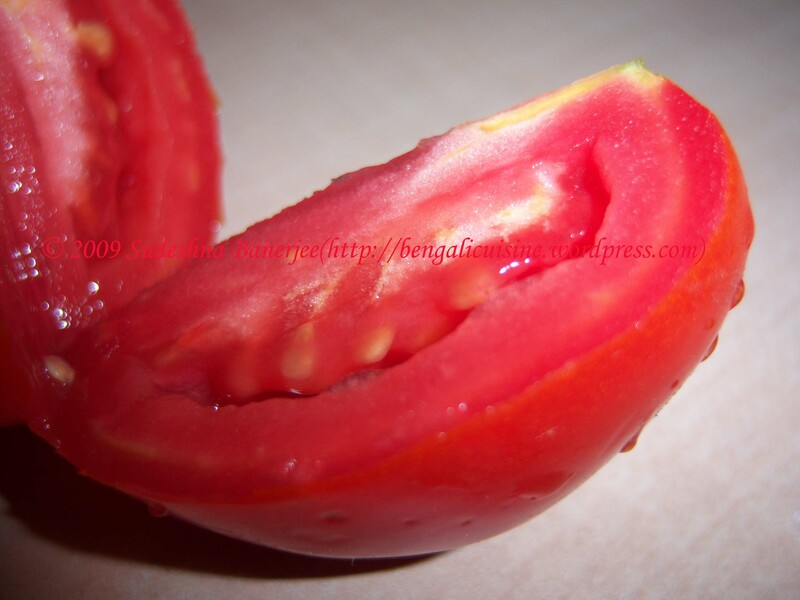 Tips: Do not add water for the tomatoes to cook, this will make the chatni taste watery, and that doesn’t feel good. 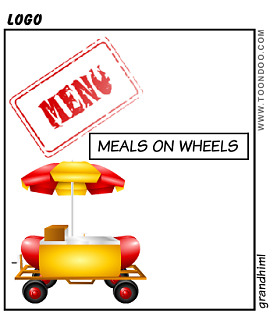 Sending this to SWC-Meals on Wheels hosted by Lakshmi. So the guessing game was fun. Thank you all for the comments. 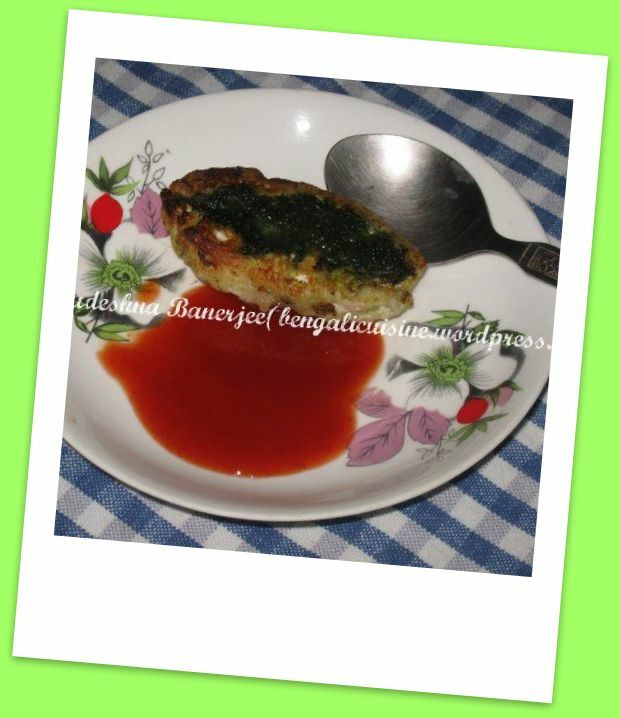 Yes, you all have guessed it right the main ingredients were paneer (famer’s cheese) and spinach. 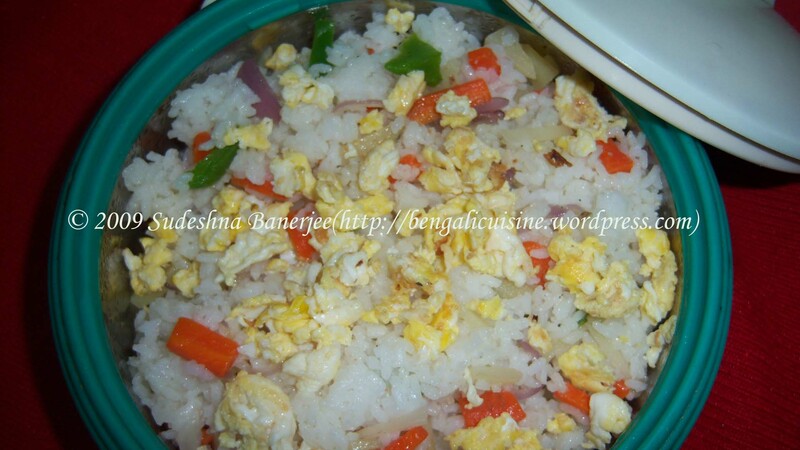 Here goes the recipe for the yummy and delicious recipe from my mom’s kitchen. Take the paneer, wheat flour and salt in a large bowl and knead well to make dough. The dough shouldn’t be very soft, depending on the water content of the farmer’s cheese. The fried bowls are an ideal snack for any evening party, or you can even use it as a starter along with tomato sauce. Read on if you want to make it into a curry. 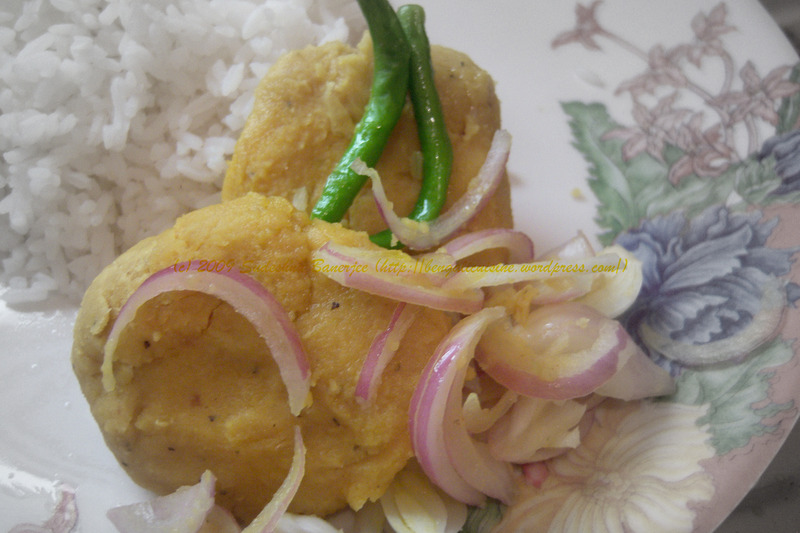 This dish was a instant hit among all my relatives when my mom cooked it for the first time. Though a little tedious and take almost 1 hour to prepare from the raw materials to the dining table, but the outcome is worth all these hard work. 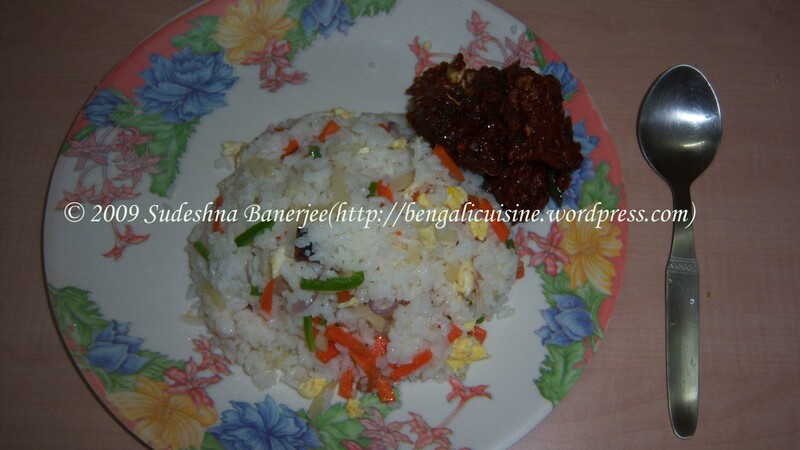 Look for more recipe here, till then Happy Cooking and Happy Eating . 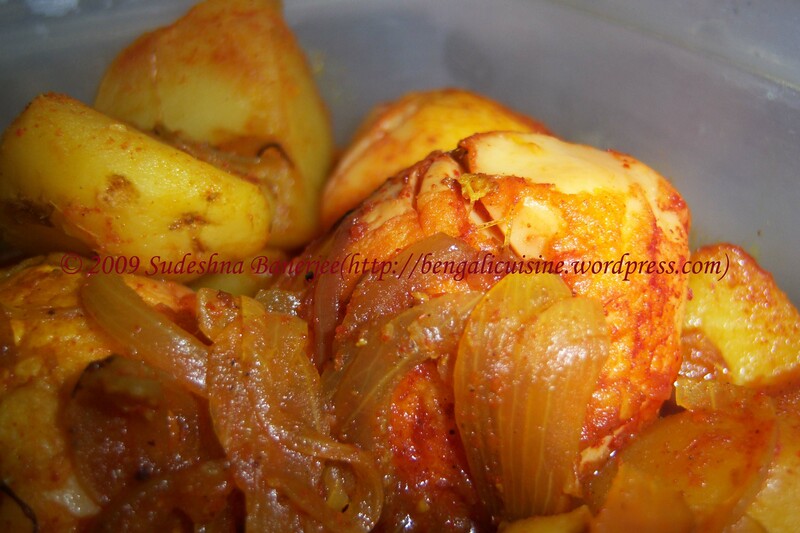 Also this recipe is heading for the EFM-Savouries hosted by Srilekha. I wish all of you have a great vacation, and the New Year brought more joy to all your lives. Here in India the only two of vacation in winter are Christmas and New Year, and so there is no bypassing the daily routines. 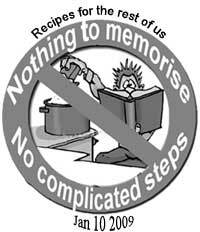 Each night I think of the easiest ways of cooking things. Last night, it was the turn of eggs to be cooked in an easy but tasty way. 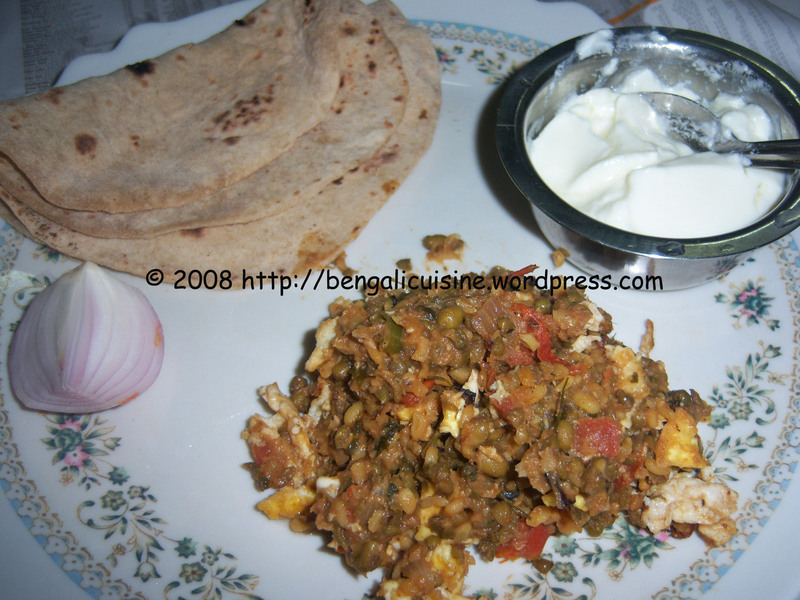 Egg curry goes well with rice, paratha or roti. So, have it as a side with anything of your choice. I love the smell of mustard oil, and so use it for making curries, those of you who don’t like it can also try preparing with sunflower or vegetable, in that case any oil of your choice. 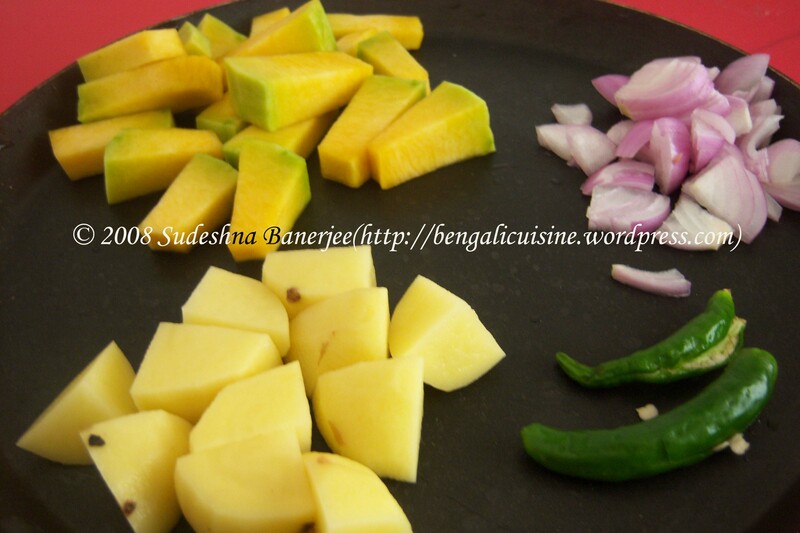 Check for more updates here, till then Happy Cooking and Happy Eating . 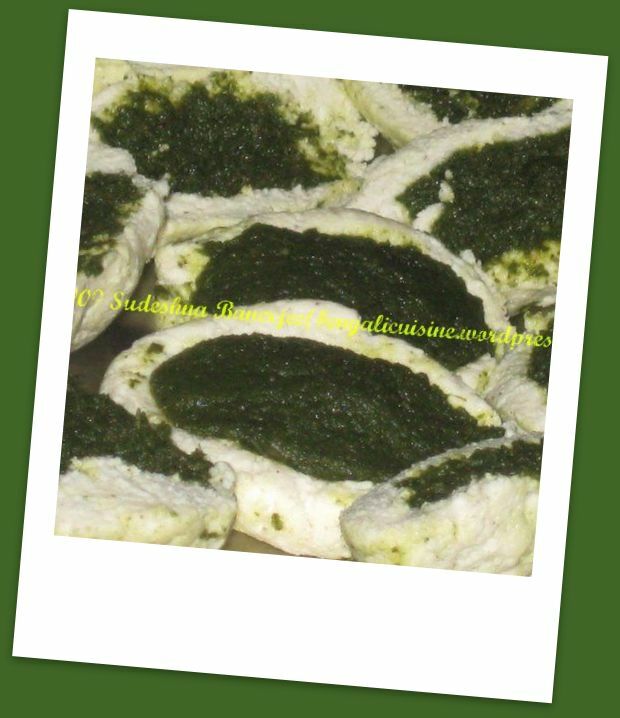 Sending the recipe to Original Recipes – Monthly Round-Up Event hosted by Culinarty. 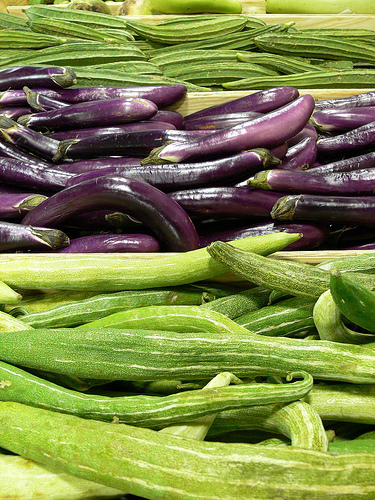 Brinjal – aubergine – egg plant, whatever you call it, it tastes the same. I remember those nights when mom used to fry aubergine. The smell loomed over the whole household. 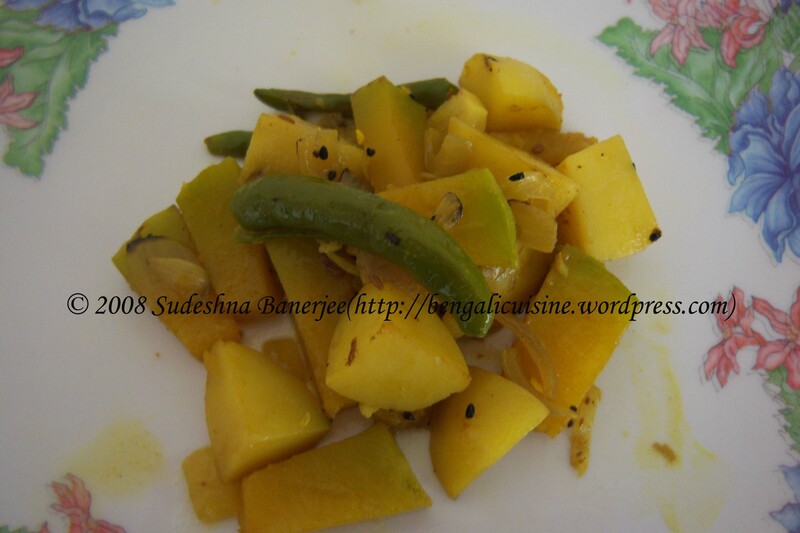 Aubergine fry or begun bhaja is one of my favorites. I love them with roti. Yesterday when I went to the nearby supermarket, I saw a big placard hanging on top of the aubergine basket. It was a whole list of the nutrient contents of aubergine. I am not sure though that those nutrient value retains after deep frying. 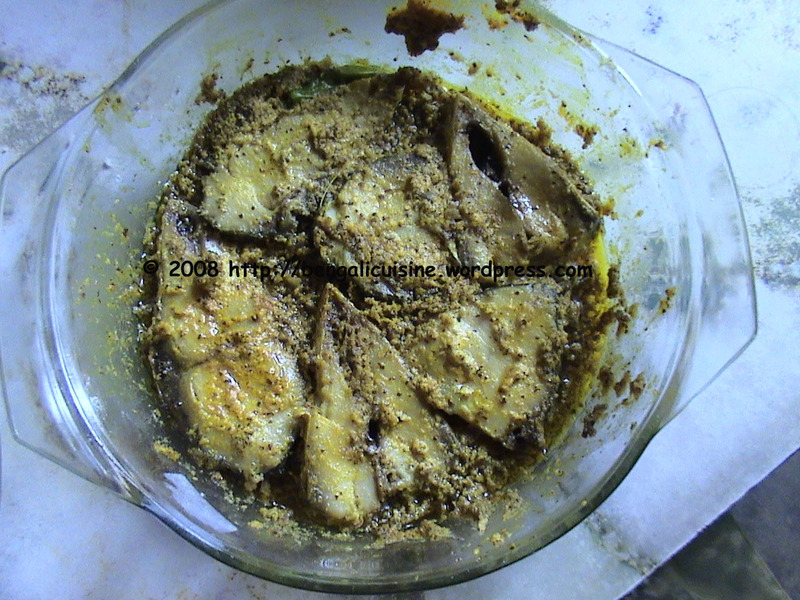 Navita had written a post on aubergine fry, you cannot fry aubergine in a different style but I have one ingredient more to let the aubergine absorb less oil. Aubergine absorbs too much oil while frying, so it is best to wrap them with blotting paper before serving. 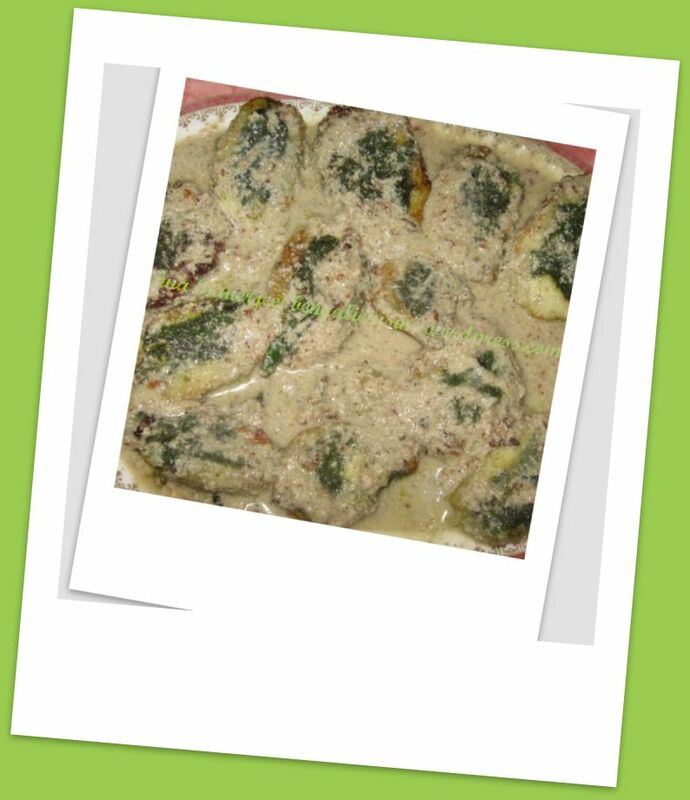 It’s my mom’s tip to put little sugar which also helps the aubergine to absorb less oil. 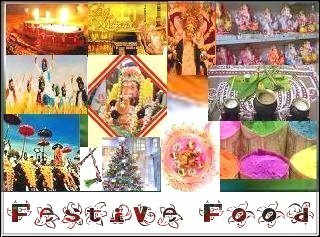 Check for more updates here, till then Happy Cooking and Happy Eating. 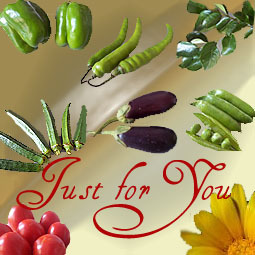 Winter has gone away, but it has still left us with many vegetables to feel that dry cold winter afternoons. Cauliflower is one with which you can experiment out a lot many things. For today is the most simple one, I would be writing about the some more recipes with cauliflower in my following posts. Cut the cauliflower in 1“ size florets and the potatoes also of the same size. 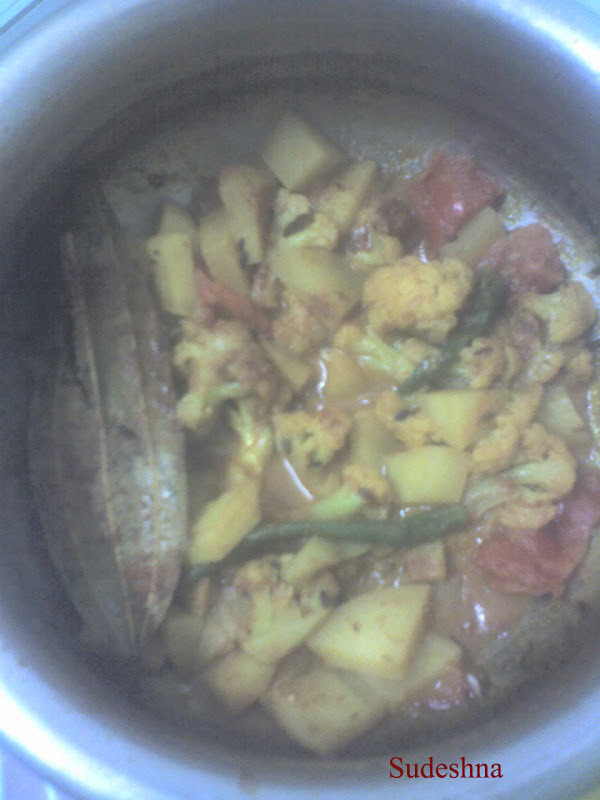 Pour oil in a wok and fry the cauliflower and the potatoes separately. Keep aside. Add the cumin seeds to the heated oil and let it fry a bit. To it add the ginger paste and the tomato, cut into one-fourth. Take 2 table-spoons of water in a small bowl. Add the cumin, chilli and turmeric powder and make a smooth batter. Add this to the wok. Cook for 1 minute. When the gravy starts boiling add the fried cauliflower and potatoes. Cook till they become soft. In between add little water for the vegetables to cook well. 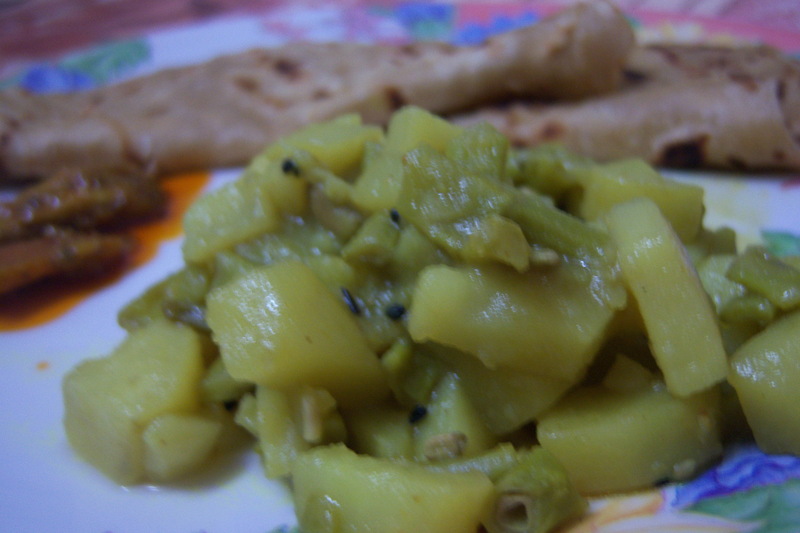 Serve hot with rice, roti, paratha.